Tosh is the New Captain Jack! or Gay: "So that's what a Jedi is"
"I don't think Steve's into muscles. He's more laid back. I picture him with someone similar to himself." 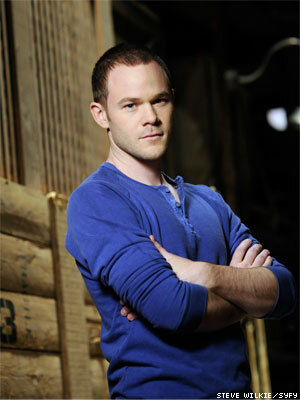 They say that there's not a lot of room for romance in Warehouse 13. You know what's not a romance? Awkward twin-ttractions between, say, two clones or a boy and his alternate-dimension double. Yes sir, I think the future looks bright for everyone involved. Especially slash writers. Here at scarletbetch.com we love comics: we love readin' 'em, we love betchin' about 'em, and we love makin' 'em! But whereas we have years (yeeeaaaars!) of experience with the reading and the betching, making comics is something that we've only recently started dabbling in. Which is why we thought it would be an excellent experience to work through a book on how to make comics! For the next 15 weeks Jason and I will be sketching our way through Jessica Abel & Matt Madden's Drawing Words & Writing Comics. The book has a term for a regularly-meeting group of people working through the book together -- they call it a "Nomad". Jason and I figured, since we'll already be nomads meeting on Skype, why don't we record it and post it to our youtube channel so that anyone on the 'net from now to the year Infinity A.D. can be a part of our Nomad? We'll be aiming to do a chapter a week, at which point we'll post a discussion of the chapter and share our homework assignments. As a cyberspace co-nomad we'd love for you to give feedback on any work we feature, and we'd love to give feedback on any work you'd let us feature! Expect our first video early next week, and if you'd like to pick up the book and read the first chapter, feel free to share your homework assignments with us at our e-mail address or on Google Docs! It's the end of the Wonder Woman reboot! ...Except that it continues for the next two months after this. Clearly the DCnU shake up is going to use New Wonder Woman (it's basically doing for the rest of the DCU what JMS did for Diana a year ago. What a trend-setting hipster... ;) ), so she's got to drag her feet until the rest of the world catches up with her. As a result i have no idea what's supposed to happen in this issue. It's billed as The Ultimate End in solicits, but next month pits Old Wondie vs. New Wondie and the month after that shows a victorious New Wonder Woman on the cover. So we know where all this is headed, but who the villain is, why the JMS-reboot happened... these are all questions that will soon be answered! Finally!!! More Batwoman! Morrison's Batwoman is a lot more happy-go-lucky than Rucka's, but I like that she gets to cut loose in BI, since she'll be going up against ghosts and angst when her solo title starts this fall. This month sees Kate teaming up with the Hood and sees me buying this issue of BI and any previous months that have included the read-headed righter of wrongs and managed to fly under my radar! The end of this title seems a little better synced with the DCnU re-launch. Harley is hellbent on breaking her boy out of Arkham, and it's up to her friends, enemies, and everything in between to make sure the Master of Mental doesn't see the light of freedom! Ivy, and especially Selina, are going to have to decide which side they're on, and whether that team includes each other or even Harley! Scarlet Betch Episode 51: Green Lanterns and Guests! We're back with a special surprise! We welcome special guest commentator and wikipedia afficionado... Sarah! We say hello to all our new friends at Gay-nerds.com and reviw the latest summer super-hero film, Green Lantern (aka that movie with Ryan Reynolds' abs). Stay tuned for more coverage this week of recent comics that came out in the past few weeks and our thoughts! I just passed my latest actuarial exam yesterday (woo!) and crunch time these past few days didn't leave me much time to blog. But here’s what’s new today! Did you know that this book is about a nubile monster slayer and her muscle-bound, silent, Frankenstein/bodyguard/father-figure? And that she's bi??? I so did not see that coming (this is my sarcasm face)! But until I'm corrected (See Tarot, Witch of the Black Rose), I'm going to assume that Hack (the eponymous bi character. Good name, right? [this is my earnest face. I like a strong name for a female character!]) is a complete and fully formed character honestly exploring/experiencing her sexuality. I've heard good things about this book, namely that it's about upending the standard victim/killer formula of slasher films. If anyone has read a bit of it, let us know what you think! A new arc, a new direction, and a new team! Since the last issue ended with Cannonball, Karma, Face, and Magik all either in jail or the hospital, signs aren't looking good for their inclusion on the new team. So flip through the issue before you buy it: I love the New Mutants, but I only buy New Mutants when Karma's on the team. Scarlet Betch Episode 50: Scarlet Crisis! Epic Sized! It's our 50th episode! Thank you to everyone of you viewers who have kept with us from the beginning. You helped us move from an audio podcast to video podcast and sat through all those hours of us gabbing about our favorite fictional spandex wearing heroes! In this episode, we chat about the new Kevin Keller mini-series, Birds of Prey (and the lesbi-tension between The Question and Huntress), The DC Relaunch aka DCnU (and wtf is going on with Oracle/Batgirl/Babs, also what happens to all our fav queer DC characters?! ), X-men Legacy: Age of X Aftermath, X-men First Class, and much much more!!! The DCnU has reminded me that Bling! isn't the only grumpy bisexual in the comic-verse: John Constantine of Hellblazer is the classic world-weary noir character, albeit with an dash of the arcane and a queer twist. This issue sees his niece coming to kill him and take his place visit. I wonder what will happen? A preview I saw showed Anole. I'm not terribly interested in this storyline (yay, more lies?) but it at least seems to be good about including the whole of the X-community. Scarlet Betch Episode 49: Giant-sized Betch! We're back for another week of reviewing the latest in queer comic book news. We chat about Alpha Flight 0.1 issue (yay Canadians! Yay Northstar's first kiss! ), Uncanny X-Force (and how much we dislike Dark Angel, but how much we like Age of Apocalypse! ), X-Factor, Wonder Woman (and the big bad reveal! ), Power Rangers (and their bizarre catch phrases), and our thoughts on DCnU! Even More Kevin Keller Pages! 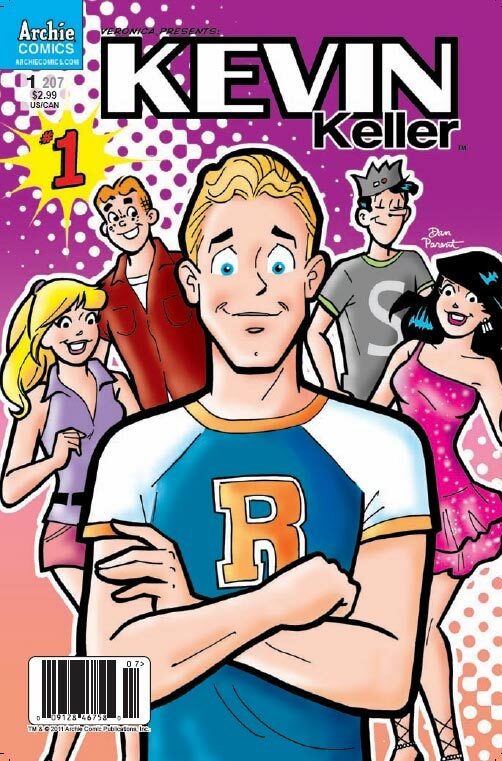 Evidently that preview that went out to the gay blogs was the middle of Kevin Keller #1. Another preview, this time of the first 5 pages, has just popped up at comicbookresources.com. I've reposted them after the jump! When DC announced last week that it was relaunching their entire comic book line up with new #1 titles, the fan community erupted in speculation. Many of us in the fan community who are more diversity/social justice-minded know that these kinds of events have a tendency to reduce diversity rather than increase it, and many feared the worse for the various successes at diversifying the DC Universe which had been won in recent years. Among these speculations, many thought that the oft delay-plagued and highly anticipated Batwoman title (penned and drawn by phenomenal artist J.H. 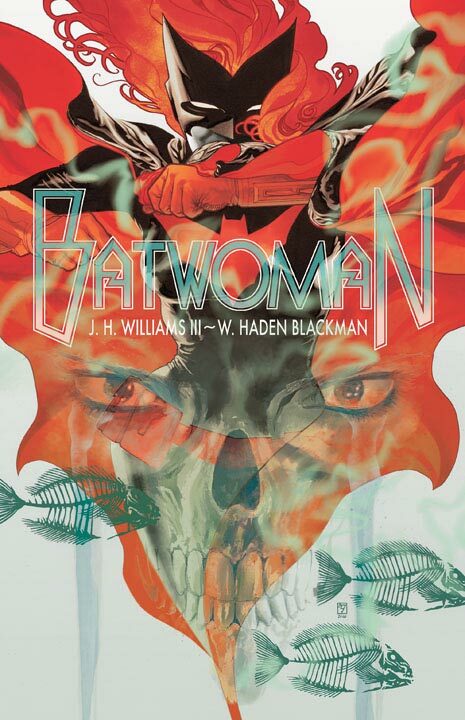 Williams) would surely be victim of this continuity reboot, as the prospect of having a Batman with a similarly aged Batwoman seemed dubious and inconsistent with the character's re-launched history. Kevin Keller Preview Hits the Web! 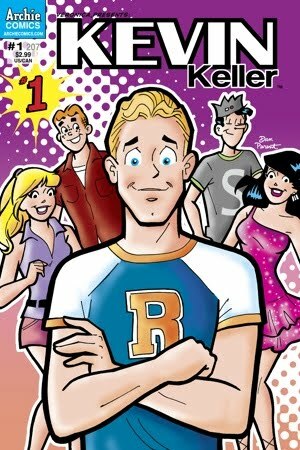 After the jump, check out the preview of Kevin Keller #1 I swiped from afterelton.com! Also this week, Renee continues to help out the Birds of Prey as they work to escape Junior, the tortured, sidekick-sized version of Ragdoll. Groovy, eh? Also there's a big maze and "Oracle's death". I'm pretty sure they just did that? And it was a figure of speech? Like, she's not actually dead, just even further off the grid. Whatevs. Ever since DC announced their impending reboot I've been feeling that it's futile to invest any more emotions into the struggles of these characters. Like, okay, sure, you can kill Oracle, that's awesome-sauce because she's about to get reset to 15 years old in two months and won't even remember dying this one time. And the Question is just going to be a dude again, right? Ugh. The short version? This is your last chance for some Montoya action, so pick it up! So Mockingbird is near death and stuff. And Nick Fury's secret history that they retconned revealed last month is going to save her? Cool beans. Also, the "new head of H.A.M.M.E.R. is revealed" and am I too naive to hope that it's Victoria? Because that would be awesome! Either that or it should be Maria Hill with Victoria as her second. That would be splendidly tense! 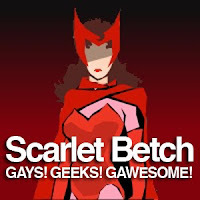 Scarlet Betch Episode 48: Super Soap Operas! We're back for another week of reviewing the latest in queer comic book news. We chat about Astonishing X-men (the storyline with Armor... we don't read the other one), Daken: Dark Wolverine 0.1, X-men: Legacy (aka Rogue has daddy issues, also yay Frenzy and her butch haircut! ), and Generation Hope (hoorah for Laurie's speed mode!). So, I figured because Monday was a holiday that comics wouldn't ship until tomorrow. But everywhere I check on the internet either doesn't mention a schedule change or says that comics are shipping today so... to the Queer-mobile! They're back from H-E-double-hockey-sticks and the solicit says that Bane is being all emo/psychotic and question-y and his relationship with Scandal will be put to the test! But I read solicits every month for this book and let me tell you, they are often totally misleading. Rest assured that Scandal will appear in this book with lines and involvement in the story. And it'll probably be a good tale at that! This is the Wolfsbane pregnancy issue! Plus, if you read the preview, it has what will forever be my second favorite Shatterstar panel of all time! Also there will be a story about a monster that kills church-goers? Eh, we're all reading it for soap-operatic-action, and it looks like Rahne and 'Star are going to finally bond... right before her womb is ripped open by a hell beast/cute baby! Hopefully Shatterstar will decapitate something!!! So it's that "First to Last" story that's a crossover between First Class and adjective-less? I'm not terribly intrigued by the premise, mostly because it seems ret-con-y and dull. Who knows, maybe it'll be awesome, but neither of the two realities are alternate ones so I'll be awaiting the wiki page. But Northstar totally makes a cameo! SWEEEEET!!! UPDATE: There wasn't any Tursig this issue (that I saw) but there was a little bit of Tel in Adventure Comics! GREEKS WITH AMBIGUOUS SEXUALITIES: Yes. This is now a category of comic book. Second to last issue!! We get answers, we get final showdown,... we get old Diana back???? This arc went from 'WTF??" to "Balls-mazing!!!" in one or two issues and hasn't let up since. All signs point to these last two issues being the biggest Wonder Woman moment since Maxwell Lord looked over his shoulder! IMO this series is still finding its footing, but I'd be more interested in helping it if they restored some of Herc's invulnerability so he could go back to his old costume. Because, seriously, another fully-clothed dude fighting an Underworld succubus in an evening gown (here played by Hecate)? Yeah, I've read this story before. Here we go! A holdover from the old status quo, this Wolvie/Herc crossover brings the Ruffians fighting a giant Sarlacc-type sea monster! Hero in a skimpy outfit and a villainous beast a cross between traditionally male and female imagery? Yup, this issue brings in the queerness!